A few days after Eric and I started walking from Le Puy, with 10 weeks of walking still ahead of us, we were already talking about how to come back and do more of this. 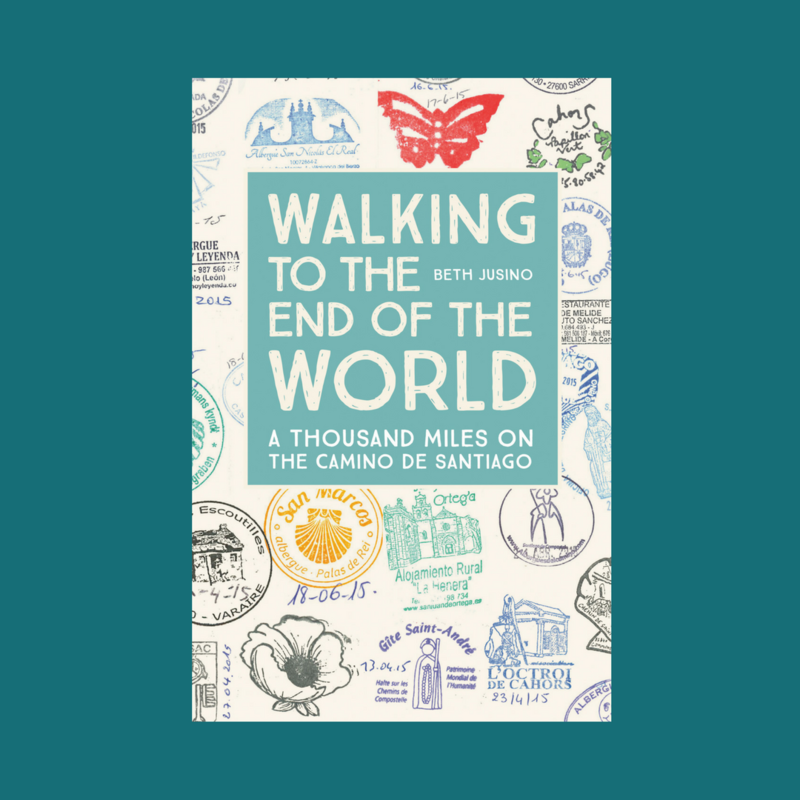 After all, “the Camino” isn’t a single trail, but a web of paths that criss-cross Europe, branching back as far as Italy and Geneva and winding in from every corner of Spain. There was so much to see. Taking another 3-month sabbatical wasn’t in the cards (or the bank account) for a while, but by last summer it was reasonable to start planning a 6-week trip. I’ve spent the past year reading up on the Norte, the Primitivo, the Portugues, and the French routes from Arles and Vezelay. We have an abundance of options. After seeing the incredible photos and stories from my favorite travel bloggers Uncornered Market and Nadine Walks, we decided that we would start on the Norte and then cut down to the Primitivo. It was going to happen in Spring 2017…you know, right about now. But in January, when my feet were still giving me trouble and my work calendar was filling up, we decided to put the trip off to fall. We’d see Galicia during a different season. But sometimes good things get in the way of good things. A couple of months ago, Eric accepted a new job. It’s a good position with a great organization, and overall, it’s a win. But they weren’t too excited about him taking a 6-week sabbatical just 6 months after he started. The Norte walk is delayed again, this time until sometime in 2018. But if my first Camino taught me anything, it’s that sometimes the real magic happens when I’m not planning, or even looking for, it. Which brings me to Laurel. This is me and my friend Laurel. Ever since Eric and I got back from Spain in 2015, she’s been talking about walking the Camino. Specifically, she wants to walk the Camino Frances to celebrate a milestone birthday, which happened last month. But the person she planned to travel with can’t go this year. And Laurel had some hesitation about traveling alone. Well, the Camino heard me. Two weeks, a little research, and one long happy hour planning meeting later, it’s official. Laurel and I will fly to Madrid on August 12 and start walking from Pamplona two days later. 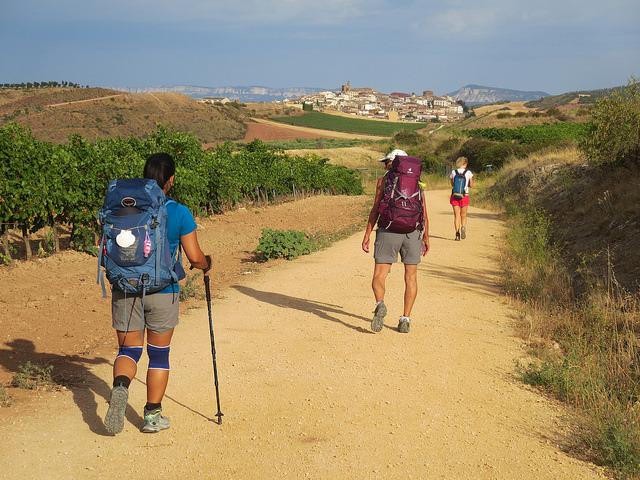 I’ll tag along for about 9 or 10 days, as far as Burgos, and then I’ll go back to Madrid and head home, and Laurel will continue across the Meseta. Pamplona was my absolute favorite city in Spain. I’ll get to re-visit the section of the trail that I barely noticed two years ago because of a stomach bug. I’ll get to fill in my one “missing link” of the path. I don’t think I’ve blogged about this yet, but in the thousand miles between Le Puy and Finisterre, we only “jumped ahead” (notice how I didn’t say “cheated”?) with a motorized vehicle once, from Viana to Najera. Now I’ll get to see the 40 missing kilometers the way they were meant to be seen, on foot. A total trip of two weeks. I’ll walk a little more than 200 kilometers, so it’s nothing to sneeze at, but there’s not much “settling in” time. By the time I start, it seems like I’ll be almost done. How will that change things? August. The hottest month of the year in Spain, and one of the two busiest of the Camino. How will that change things? Well, that and the tapas. And the Rioja. And the people. Question: have any of you rented bikes on the Camino Frances? Laurel is considering renting a bike in Burgos and riding the Meseta (probably to Leon). Any advice or recommendations? I had so many soulful revelations from Pamplona to Burgos. Peaceful, open country. Savor the anticipation! It’s the second best part! I can’t wait to read those revelations! Thank you for sharing! My friend and I start our journey September 7, 2017. Buen Camino! I’ll leave good thoughts all along the Way for you, Sue. Buen Camino. Thanks! That August part still makes me nervous, but I’m already poking around at the things I wish I’d done/seen/places to stay in this region. And someday, I’m going to uncover a new possibility and hole up in a French chateau for a week or two of writing…you’re my inspiration for that.